Thanks for the quick response. 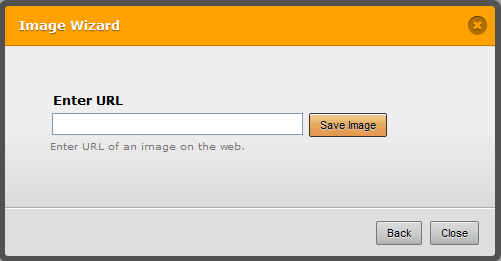 I was actually looking to be able to use my own "browse" button image. Also the custom css only seems to work if I allow multiple uploads. In short, is there anyway for me to change the default Browse button to my own custom browse button (image)? Well, it took some digging around the internet but it looks like a couple of the solutions provided in this StackOverflow thread may be useful. I'll see if I can put together a demo form for you and post its link here later. Incidentally, you're right about the custom CSS in the user guide article only being applicable to multi-upload buttons. Well, I was able to get this to work somewhat, as illustrated in this demo. The only issue (and it's a pretty significant one) is that the selected file isn't shown! I'll continue tinkering with the injected CSS to see if a solution (short of embedding the form's full source) can be found. Thanks abajan for your reserach into this issue. I followed the custom CSS you provided a link to from the StackOverflow thread but it is not working on my form. The browse button is litterally displayed in the section where I inject the CSS but not on the form. Then when I close the section for injecting the CSS it is gone. #input_5 selects the input element of the upload field (that includes the default button which varies from browser to browser). Feel free to clone my form and experiment with it's injected CSS. Lastly, viewing the form's source will help to determine the correct elements to be targeted but a tool like Firebug simplifies such tasks.